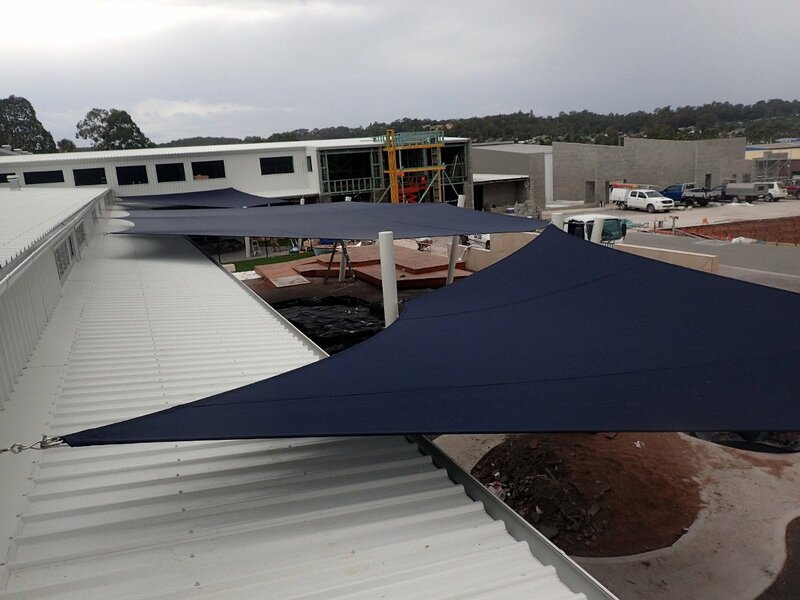 Coast & Country Shade Sails – Coast & Country Shade Sails on the NSW Central Coast are the Shade Sail & Curved Roof Specialists. Our Shade Sails are designed to decorate and protect. Available in a wide range of colours. Planning, Design, Engineering, Construction & Installation for your commercial shade sails. Schools, Child Care Facilities, Universities, Sandpits, Playgrounds, Walkways & Seated Areas. Public Pools, Community Centres, Parks, Seated Areas & Streetscapes, Design Consultancy Specifications. 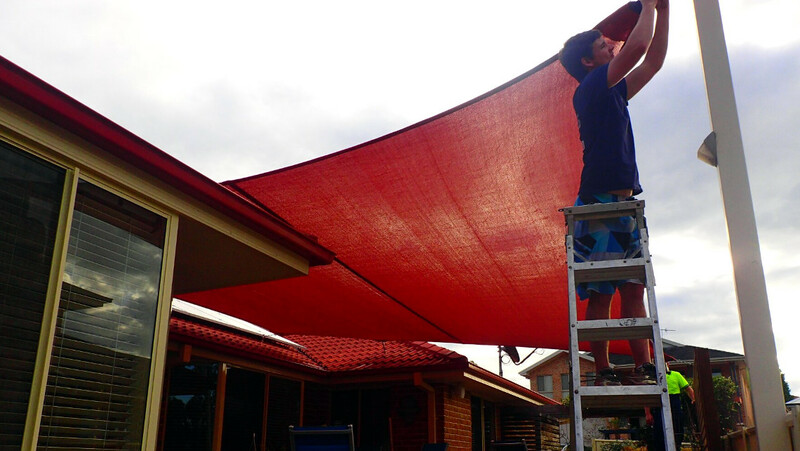 All of our shade sails are custom made to suit your individual needs and requirements. We do everything from residential needs to industrial complexes. We use only the best materials. All of our fittings are stainless steel and we use Duragal posts, which are marine grade 316 stainless steel to last a lifetime. Our sails come with a warranted factory guarantee and are engineer rated. Our showroom is situated in O’Hart Close, just off the Pacific Highway at Charmhaven NSW. Feel free to come and talk to one of our qualified staff members and have a look at our products. We would like to say thank you for the fantastic shade sail that was installed by Coast and Country Shade sails. The guys were absolutely great, they helped us with our idea to provide shelter to our cars. The end result wasn’t only just vehicle protection but has greatly added to the look of our home. Kyle and his team were great at keeping us informed regarding products to be used and installation dates. Kyle and his team only used quality marine grade stainless fittings, which is vital to us because we are so close to the lake. We highly recommend Coast & Country Shadesails. 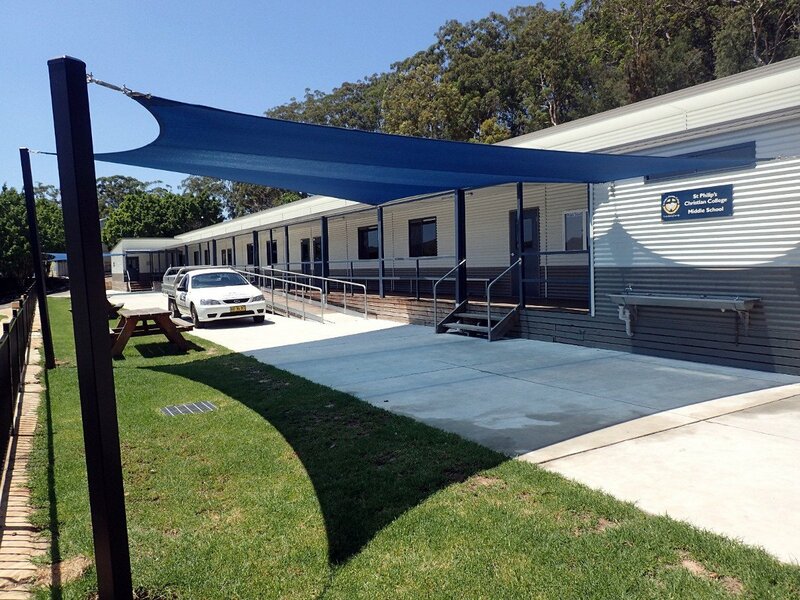 We used Coast and Country Shade Sails for the pool area and cafe in our holiday park. Couldn’t be happier with the expert and timely manner that the job was done in and the quality of the product. Highly recommend Kyle for his professional approach. Kyle from Coast and Country Shade Sails replied to my enquiry the day I made it, he quoted the next day and within a week the job was complete. My sail is made from high quality materials and looks amazing, I cannot recommend Coast and Country Shade Sails highly enough, thanks Kyle. I cannot recommend Coast & Country Shade Sails highly enough. Kyle was the utmost professional from the first phone call to job completion. The completed work was amazing and looks incredible. He would be the first person to call for any sails that are required. A large part of my customer base is Pre School’s all of which have shade sails. 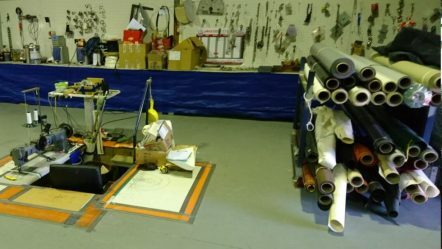 Whenever I have needed anything done whether it be advice, repairs service, or manufacture I have called upon Kyle from coast and country shade sail’s. Without fail he has turned up on time and delivered in full. I have no hesitation recommending Kyle to anyone. 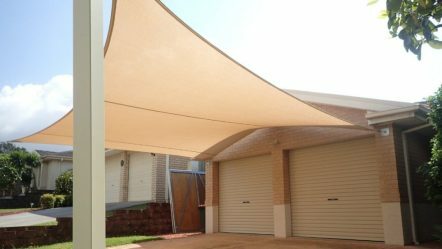 A few months ago we were on the hunt for a shade sail to cover our driveway. CCSS was the first place we went into and met Kyle. Kyle immediately showed us around the showroom and went through everything with us. We gave him our approximate measurements and he said he would draft up a quote and come back to us. We left with so much confidence already in CCSS however when we received the quote less than 1 hour later, we were blown away! Being CCSS was the first place we went to, we decided it would be smart to still shop around and see what else is in the market. After going to one more place, we found there offices not kept clean, the show room was a mess and they were so unhelpful that we knew CCSS was where we needed to go! Also, Over a week later the other place quoted us and ended up coming in over double the price CCSS quoted us! We spoke to Kyle when we were ready to proceed and he quickly came out to go through the design and pick colours, within a couple of days the guys started and a week later, our shade sail was up! We truly can not believe how quick, efficient, cost effective and great quality the team and sail were! We were so impressed that when it came to needing a sail at our company, we didn’t look anywhere else but CCSS! We are always recommending you guys to everyone we can which is something we don’t do unless we can warrant the recommendation! Thank you so much to Kyle and the team for making the process so enjoyable and easy! You guys rock!! 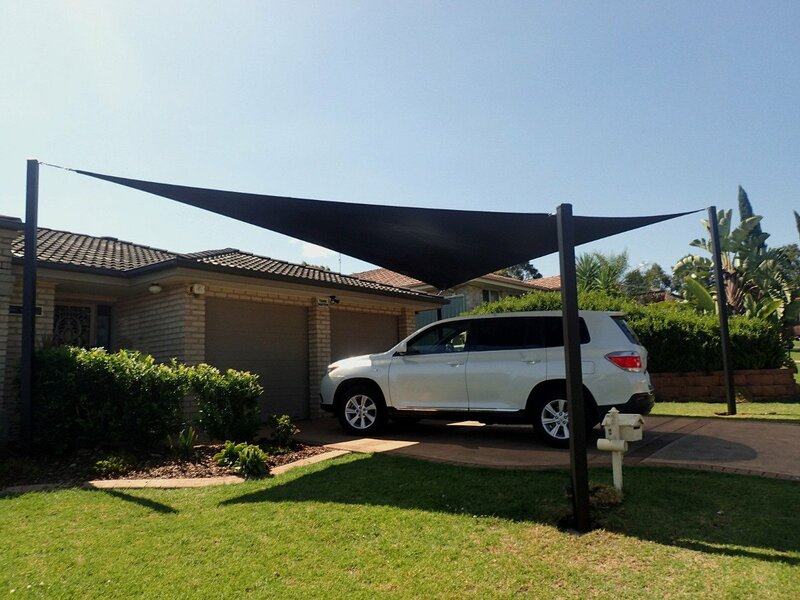 After looking at the possibility of erecting a carport, we settled on a shade sail. 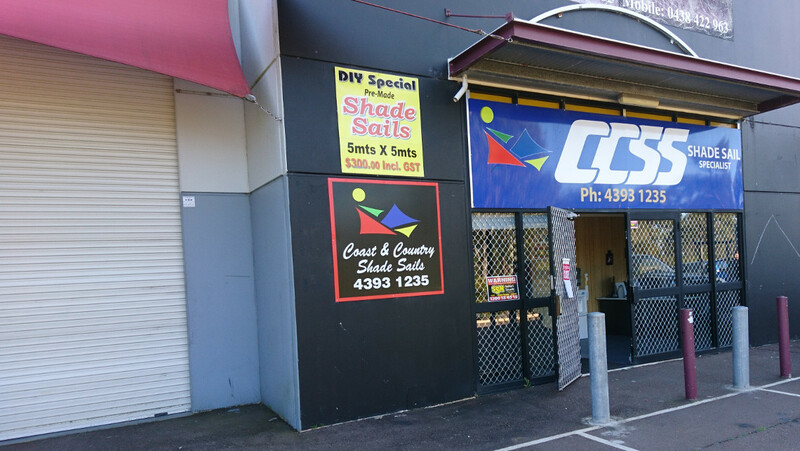 Coast & Country Shade Sails was one of the first businesses I contacted for a quote. Kyle came out within a day or two of my phone call. I found him to be nice but also very knowledgeable about shade sails and the process of installation. I decided to get him to quote us for another shade sail as we needed one to cover our swim spa. Kyle measured up and was happy to explain the process from the heights the poles needed to be to keep out the sun, anchoring the shade sails to the roof and the marine grade fittings used. He then proceeded to show me samples. We talked about the possibility of a waterproof shade sail to cover the cars which Kyle said would not be a problem. When he left, I was happy with the service I received from Kyle and immediately I wanted him to do the job. My partner insisted I get another quote which I did but the gentleman that came out was not very interested. When I told him I wanted a waterproof sail he scoffed and said it would be very expensive and something they did not do because of the expense. He gave me a rough figure which was twice what Kyle had quoted. A few days later, I received my quote from Kyle. Both myself and my partner were very happy with the quote but as we were getting some other work done at the time, I asked Kyle if we could hold off for a month or two. He was very happy to do this and stated that the quote was good for six months. Two months later, we got both our sails up and they look terrific! I love how they are very fluid in their design and are not permanently fixed like a carport. We get compliments from everyone that walks past our house saying how nice it looks and a few people have even asked who erected them. If you’re after a good quality shade sail, I would recommend Kyle and his team at Coast & Country Shade Sails without any hesitation. Not only are they are family-run local business, they are fabulous to deal with! Nothing is ever a problem.